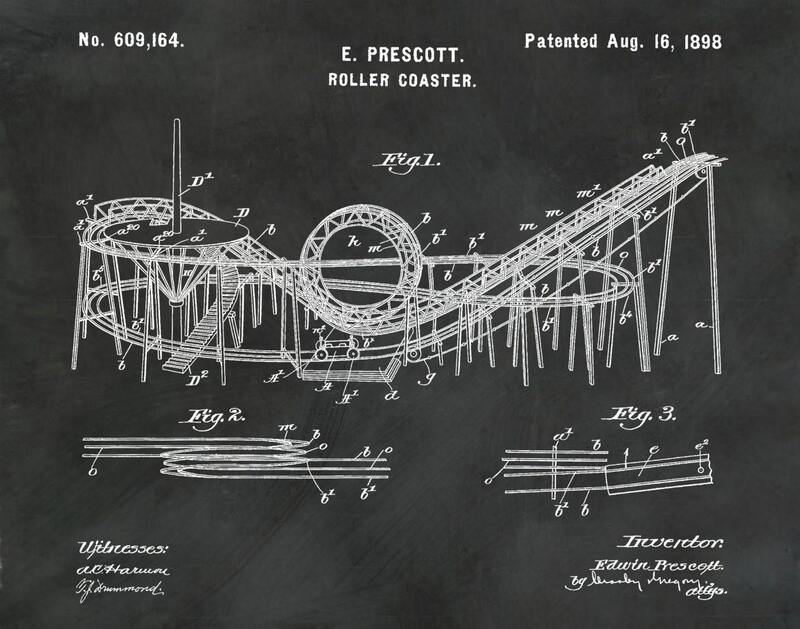 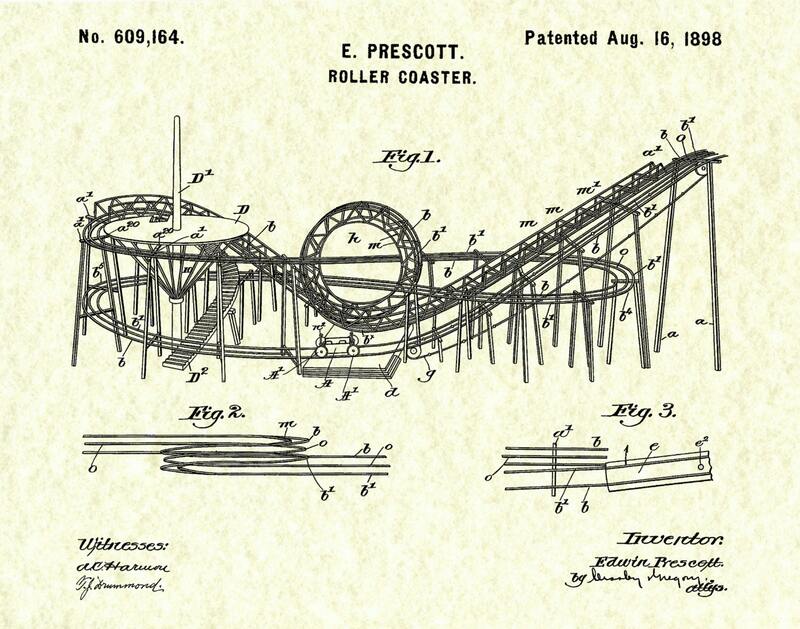 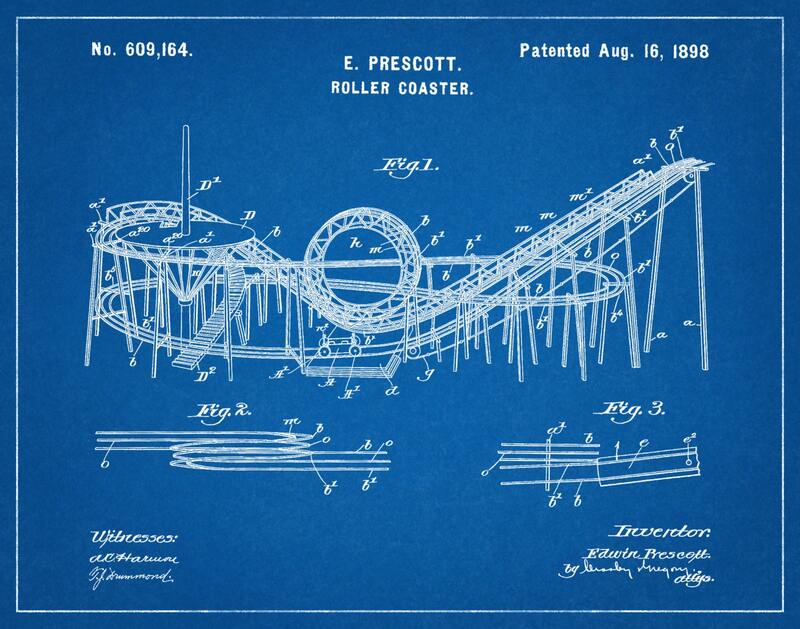 1898 Roller Coaster Patent invented by Edwin Prescott The patent was issued by the United States Patent Office on July 23, 1959 and issued August 16, 1898. 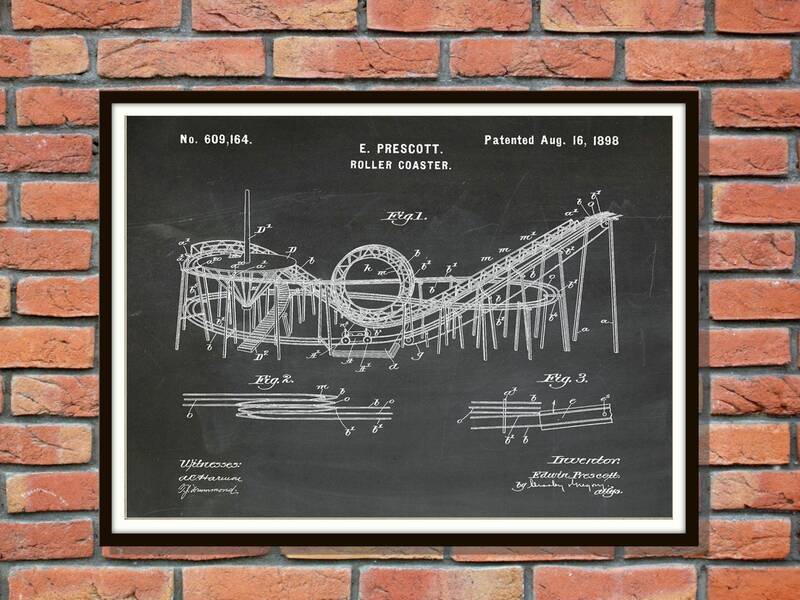 Great print! 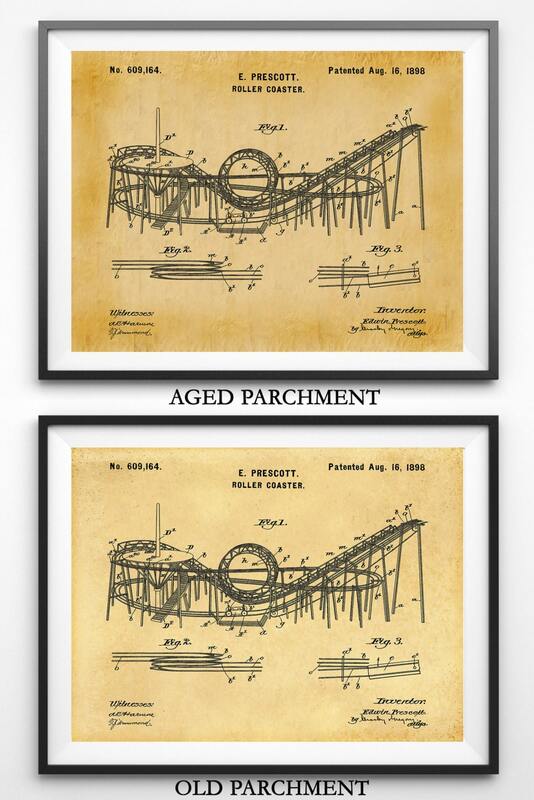 Was quickly shipped...Thanks!